With 16 years of experience in the Food and Beverage industry, our Wine Manager, Michael Goodger, understands that the foundations of business success include effective relationship building, collaboration and genuine passion for the work you do. 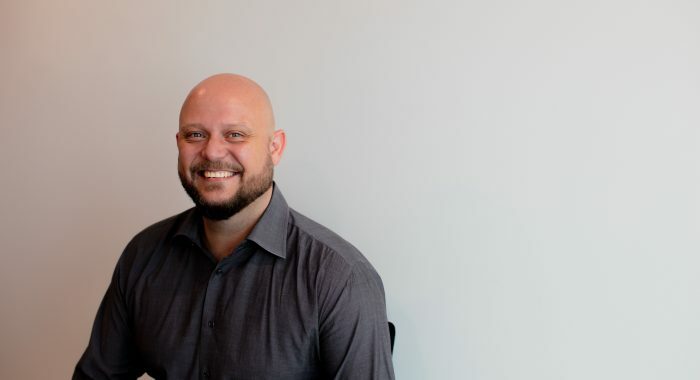 We recently sat down with him to learn more about how his focus on forging and maintaining great relationships pushes him to go the extra mile for our clients and customers. An important part of your responsibilities requires building mutually beneficial and sustainable relationships with clients and principals. What do you think are some of the important things behind making this successful? The backbone of any strong relationship is honesty: being open, transparent and fair is key. Your reputation as being trustworthy is crucial, especially in a small country like Bahrain, where relationships and word of mouth are very important. It all boils down to recognizing that each relationship is in fact a partnership. Simply, if your clients and customers know that you’ll go the extra mile for them and that you will work hard to resolve their issues, they will want to work with you. At the end of the day, in any relationship, you need to make sure that you provide value, as well as get it. Of course, you must also believe in your products, and we’re lucky at BMMI to have a great portfolio. Working within a diverse group like BMMI, what role have internal relationships played in your career? Relationships with colleagues are just as crucial as the ones with clients and principals. You have to make an effort to understand the people around you, not just in your own team, but across business segments. That really hit home for me a few years ago when I joined the first batch of an internal training programme that brought together people from our various businesses, departments and countries. It was a great way to get to intimately know people from across a broad spectrum of our business and to appreciate the diversity of thought, skills and experiences within the BMMI family. Forging bonds with people in our diverse operations and teams, such as our FMCG division, our restaurants, our supermarket, human resources, corporate communications, and others – it’s been eye-opening. We all bring our unique life experience and points of view when we work on these team building or collaborative projects. When you sit around a table together and have an open discussion, you sometimes come up with ideas and plans you would have never thought of otherwise. You need to be open to receive those thoughts and to lean into the experience of all the talent around you. Collaboration really is key, and that can only come out of building those relationships with both your colleagues and your clients. How does this belief in collaboration translate into real business projects? We collaborate extensively, across BMMI, and this has helped us offer even better service to our customers and cliens. As the beverages division, we work particularly closely with our supermarket, Alosra, and our restaurants division. With Alosra, for example we collaborate during BMMI Shops’ bi-annual Uncorked! event. Alosra organise an impressive display of their signature cheese, which we also use during some of our exclusive paired dinner events. The effort they put into setting up, and the quality of their cheeses – it really elevates what we can offer customers and clients. Another example is the Christmas Market we held last year in one of our restaurants, and where a number of our businesses got the opportunity to showcase their products. It was a truly memorable example of collaboration that the greater community appreciated and loved. How have these collaborative experiences also enriched the services you provide with external clients? Our experience working together internally helps us find opportunities to support external projects and events. For example, I am one of the founding members of the Bahrain Jazz Festival, which recently successfully concluded its second edition. Along with my partners, my experience in events planning helped us put together one of the most family and community-oriented experiences for lovers of jazz and festivals in the Kingdom. BMMI was one of the event sponsors and, this year, the Bahrain Jazz Festival also had Alosra on board as the major sponsor for the kids and family area. The festival aims to be a positive community experience that families can enjoy together and, with Alosra’s support, the children’s area became one of the biggest success stories of the event. Guests could sign in their children and know they will be safe, looked after and have fun. We always look for partners that share a similar mindset and, with Alosra’s family-focused values, we found the perfect partner to elevate the experience. With them on board, children had a blast, while also enjoying our supermarket’s fresh sandwiches and healthy snacks. That kind of collaboration raised the bar for the Bahrain Jazz Festival this year – and it all starts with building those relationships internally and knowing how to leverage them for all the opportunities out there. With all your experience in the industry, would you say that this collaborative approach is one of BMMI’s advantages? Definitely! What makes BMMI unique is its culture which focuses on building strong, fruitful relationships across the organisation and beyond it. That, in turn, unlocks the collaborative spirit in all of us. As members of the BMMI family we believe in going the extra mile, being innovative with fresh ideas, and delivering the best offerings. The high value we put on building strong relationships and collaboration means we not only cherish and support each other as colleagues, but we also always think of our customers first. We are ready to go the extra mile; and that‘s reflected in the sustainability of our business relationships. A lot of our employees have been working for BMMI for a very long time, and clients appreciate knowing who they’re dealing with rather than dealing with a new face every six months or so. Our employee retention is high, and that in turn helps us retain our clients. Our people stay because of the truly unique culture we have. A lot of big companies lose that human touch, but not us. What we have, it’s special, and we put a lot of effort into investing back into our people and making BMMI a great place to work. Do you find that our culture at BMMI motivates you to go that extra mile even more? Job satisfaction is very important for me. I need to love what I do. I want to wake up every morning and be happy to go to work, and that’s what I have here. I see my colleagues more than I see my family, and you need to enjoy where you’re spending the majority of your day. I feel fortunate to work at BMMI, and especially in the beverages department. A large part of my job is social, and I thrive on that – going out, talking to people and making sure our customers are happy with our products and services. Our mission is to win the hearts and minds through our exceptional service, and if you don’t love what you’re doing and don’t believe in your organisation, that is almost impossible to do. This passion for working here and for doing the work I do, as well as the amazing people across the group that I have the privilege to work and collaborate with – that’s what gives me the drive to continue to go above and beyond for our clients.